How to make curries ? Many people have asked me whether "curry" is a westernized dish that does not exist in India or Asia ?. I have to say that hardly any Indian meal is complete without a curry. In southern India, curries are based on blend of coconut and tamarind. While in north, it is made from range of mild spices. There is no such thing as Madras curry or even Madras curry powder as the term "curry" refers to hundreds of variations. A good curry made with vegetables or meat should be fairly thick. A thin curry will not support a blend of spices where as too thick will not moisten the accompanying rice or bread sufficiently. Curries are colorful and use turmeric, red chili pepper, tamarind, cumin and coriander as ingredients. These spices add flavor and aroma in any preparation. Generally, curries can have white (yogurt based), red, yellow and green color. The curries from southern India are green while from northern and central India are white, red or yellow. The oil used also varies from region to region giving each curry a unique taste and fragrance. Peanut and coconut oil is used in many parts of southern India. Coconut is widely grown in southern Indian coastal regions. Mustard oil is used in Bengal region. Clarified butter or ghee is used over most of the country. A good curry preparation requires time and patience. In north, a basic curry starts with heating the oil or Ghee. Seed spices (cumin, coriander, red chili pepper, mustard, fenugreek, fennel) are added to the heated oil for releasing their aromatic oils. Onion, Garlic, Ginger and tomatoes are added in the second step for moisture. Powdered spices are added in the third step so that they don't get burnt. Main ingredient (vegetable or lentil or meat) and salt with little water are added next to obtain the right consistency. Controlled heat and an eye for right texture and color are equally important for delicious curry. Thus curries are made in steps and almost like building blocks. Think of curries as toy building blocks where they can be moved around and re-arranged in countless ways. Curry recipes can be never ending as every one has their way of preparation. You can have your own recipe for many curry preparations if you follow the basic steps mentioned above. Beware, curries are addicting and once your taste buds are exposed, it is very hard to go back !. Are you ready ?. Panch Phoran blend has been used by people in Asia for ages. It is a very popular blend as it can be used in many dishes. We recently started offering this blend due to market demand and medicinal impact of this magical blend. The distinct aroma of Bengali cuisine is mostly due to the blend of spices known as panch phoron. Panch means "five" and phoron is "flavor" or "spice", hence the common translation Bengali Five-Spice". 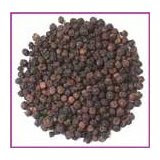 Panch phoron is a colorful blend of flavorful seeds: the green of Fennel seed, Black mustard and Nigella seeds (black seed), golden Fenugreek and buff-brown colored Cumin seeds. 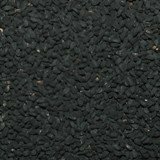 4) Black Seed (Nigella Sativa) - reduces blood sugar, helps body Neuro system, enhances stamina and combat allergies. 5) Cumin - has also been used in ancient medicine of Ayurveda as an ingredient for many digestive formulations. Halloween is right here and pumpkins are every where. 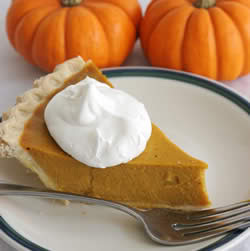 Try a recipe of my favorite pumpkin pie. I use a 9 inch pie crust shell from local super market. I don't know how to make a shell from flour !. I use the following to make the pie. 6) Add Ceylon cinnamon, ginger, cloves and salt and whisk until blended. 7) Add the eggs and sugar and whisk again until blended and smooth. 10) Pour the filling in to the prepared pie shell and refrigerate for at least 4 hrs. Sit down, relax and enjoy the Halloween pumpkin pie with a cup of tea or coffee. My mom has a different recipe than my sister and grand mother !. Hmm, which one we should choose. Blend varies from family to family and region to region !. How do you select a blend ?. I thought it will be a good start to start discussing the recipes. People can then change the ratio and ingredient as per choice. My thinking comes from buying computer from DELL that is designed for my requirement. These spice blends are good for short period of time and after a while they loose the aroma. Here is one of my Mama's recipe that is liked by many people. I am going to work in small quantities so that people can change as per taste. Spices used in the blend use best of the best ingredients and you won't find this high quality hot blend anywhere ! 1) In a small pan, roast all the spices over medium heat for 2-3 minutes, stirring constantly, until shades turn slightly darker, start to crack, and become fragrant. 2) Transfer the spices into another bowl and let them cool for 5 minutes. 3) Grind in a spice grinder until mixture has the texture of finely ground black pepper. 4) Store in an airtight container in a cool dark place. After few trials, one can adjust the ratios as per the taste. Garlic has a long history of usage around the world for its medicinal and culinary usage. Garlic is used not only as a spice when dehydrated but also a vegetable. A real garlic has a strong aroma that can last for hours. Generally people use a mouth freshener like fennel seeds or other products to reduce the smell. Garlic is used in making Indian curries, pasta sauce, garlic bread etc. It is also used as a garnish in salads. Medicinal properties of garlic have been known since ancient times. Several studies have shown that garlic and onion consumption can reduce various type of Cancers. For detail information, please visit US National Cancer Institute. Garlic has been shown to interfere with several prescription drugs, especially the HIV medication saquinavir (brand names Invirase® and Fortovase®). Garlic can lower the serum levels of saquinavir by as much as 50 percent. Garlic also acts as a natural blood thinner and, thus, should be avoided by pregnant women, people about to undergo surgery, and people taking blood thinners, such as warfarin (brand name Coumadin®). Fenugreek seeds have been used extensively in Asia, Middle East, Africa and Bulgaria for culinary and medicinal purposes. Fenugreek has been used as a medicine for several centuries. Fenugreek seeds and powder has been used by nursing mothers to increase inadequate breast milk supply. Studies have shown that fenugreek is a potent stimulator of breast milk production and its use was associated with increases in milk production of as much as 900%. More information is available at the following link about the precautions and usage. Several human intervention trials demonstrated that the anti diabetic effects of fenugreek seeds ameliorate most metabolic symptoms associated with Type 1 and Type 2 diabetes in both humans and relevant animal models by reducing serum glucose and improving glucose tolerance. Studies on fenugreek has shown that it reduces the blood glucose and serum lipids in Type 1 Diabetes. Fenugreek is currently available commercially in encapsulated forms and is being prescribed as dietary supplements for the control of hypercholesterolemia and diabetes by practitioners of complementary and alternative medicine. Please visit the site of National center of Complementary and Alternative medicine. Please consult your natural medicine practitioner before making any decision about your medical condition. Fenugreek has not been approved as medicine by USFDA. Masala Chai : A beverage from the Indian subcontinent made by brewing with a mixture of aromatic Indian spices and herbs. By itself,Chai is merely a generic word for Tea in much of the world, but for many English speakers outside those regions, "Chai" is always construed as "masala chai".Gourmet grade Masala Chai is easy to make at home without spending a fortune. One can add the ingredients as per the taste and can make a mixture for storage or when in hurry. I am a Masala Chai drinker and drink every day without fail. It has become very trendy to drink a masala chai. However, masala chai has lot of health benefits due to its ingredients. Tea leaves, main ingredient, has lot of antioxidants. Spice mixture/blend has medicinal properties of digestion, reduced blood sugar level, vitality, stimulation and carmanative. The traditional masala chai is a bracing, strongly spiced beverage brewed with so-called "warm" spices. Most masala chai incorporates one or more of the following: cardamom, cinnamon, ginger, fennel seeds, nutmeg, peppercorn, and cloves. Traditionally, cardamom ( Queen of Spices) is a dominant and gives the flavor. Indian masala mixture and cuisine also commonly use other spices such as cloves, ginger, or black pepper; the latter two add a pleasantly piquant flavor. In India, for example, fresh ginger is usually used. The Kashmir version of chai is brewed with green tea instead of black tea and has a more subtle blend of flavorings: almonds, cardamom, cinnamon, cloves and sometimes saffron. The simplest traditional method of preparing masala chai is to actively simmer or boil a mixture of milk and water with loose leaf tea, sweeteners, and whole spices. Indian markets all over the world sell various brands of "chai masala," (Hindi चाय मसाला [chāy masālā], "tea spice" ) for this purpose, though many households blend their own. The solid tea and spice residues are strained off from masala chai before serving. The method may vary according to taste or local custom: for example, some households may combine all of the ingredients together at the start, bring the mixture to a boil, then immediately strain and serve; others may leave the mixture simmering for a longer amount of time, or begin by bringing the tea leaves to a boil and only add the spices toward the end (or vice-versa). There is no fixed recipe or preparation method for masala chai and many families have their own versions of the tea. The tea leaves (or tea dust) steep in the hot water long enough to extract intense flavor, ideally without releasing the bitter tannins. Because of the large range of possible variations, masala chai can be considered a class of tea rather than a specific kind. However, all masala chai has the following four basic components: Tea leaves, Sugar, Milk and Spices. 2) If you have fresh ginger, put small quantity by grating it. One can use Ginger powder for everyday usage. 3) Add 1/4 tbsn of fennel seeds. fennel seeds also add soft and sweet taste. 4) Add 2 clove buds or a pinch of clove powder. 5) Add two Green cardamom pod for the smooth taste. 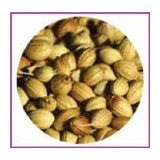 I use Indian green cardamom due to its flavor. Most of the cardamom sold in grocery store is from Guatemala. I prefer Indian cardamom for its taste. Indian cardamom is harvested once a year where as Guatemala cardamom is harvested atleast twice in a year. Leave all the mixture in the tea pot. Keep the leaves & mixture in hot water for 2-3 minutes. You can see the opening of leaves in the. water. Tea is now ready for filtration. I add 1 tbsn of milk and sugar (as per the taste) in the cup along with tea mixture.It is essential to add only small amount of milk otherwise it looses the tea flavor. Note: You can customize the Chai flavor by doing few trials of spice mixture. You can use powder spices if you don't have time.